Smart Separations have been a SETsquared Surrey member since October 2017 and have rapidly grown as a business in a little over 18 months. They have developed a unique ceramic filter that can be tailored to suit many different applications in the microfiltration industry - from stem cell & blood research, air filtration to food & drink processing. To date they have raised over 2 million Euros in EU grants and have 10+ employees. Not only do they have their own lab and office space at the Surrey Technology Centre but they have also just opened a subsidiary in Portugal to help develop and expand their manufacturing facilities for the ceramic filter. 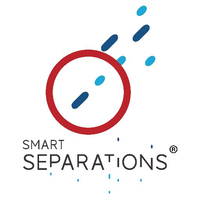 It is exciting news for Smart Separations and SETsquared Surrey couldn’t be happier to support them on their journey.